TYLER, Texas — A Tyler area home builder is ditching the traditional 2D paper blueprint for 3D models. Anwar Khalifa, president of Pyramid Homes is giving people a chance to not only build their dream home, but hold it in the palm of their hand with the help of his new 3D printer. “I got a 3D printer for my birthday from my daughter and my family,” says Khalifa. Although the gift is for him, it’s going to help his clients. 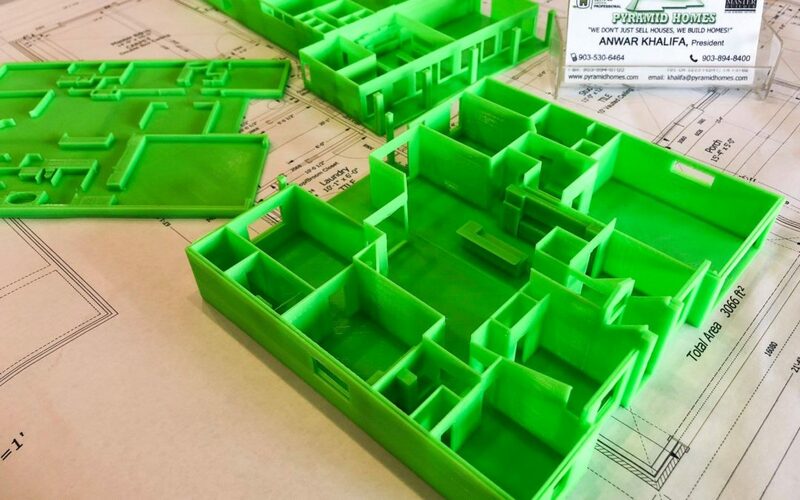 Some might think 3D printing is difficult, but Anwar figured it out in just a few weeks, and says this new technology will open up more possibilities for the future for the home building industry. COMING UP: A home builder in Tyler is giving people a chance to not only build their dream home, but hold it in the palm of their hand.